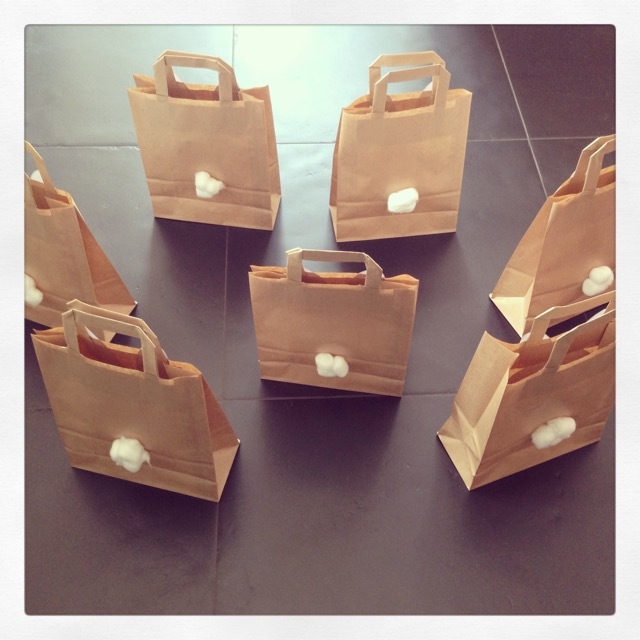 Have you already thought about the Easter baskets your kids are going to use for the egg hunt next Sunday? 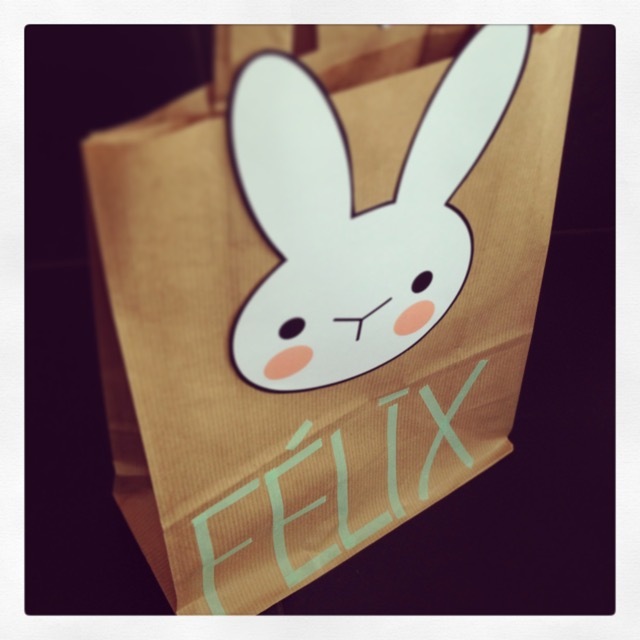 Here a simple tutorial to make some by yourself, out of paper bags. This year we will not use the traditional baskets made out of wicker, we will go the “modern” way with homemade baskets! 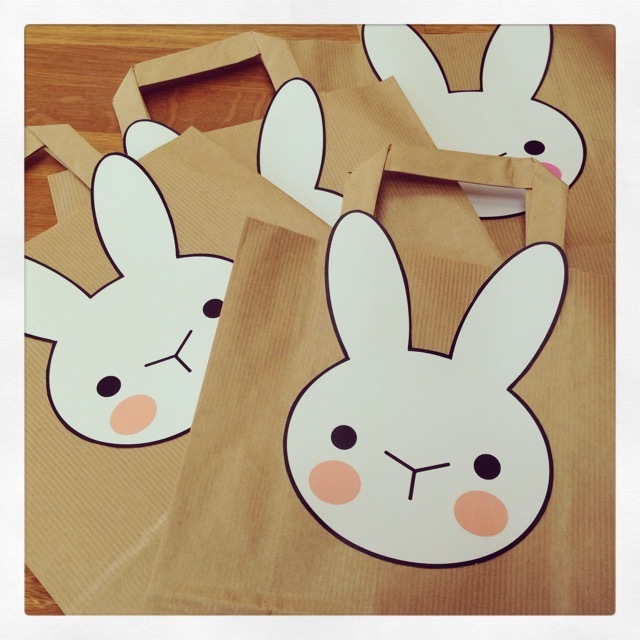 Scrolling through the marvellous World Wide Web, I came across this really sweet (and free) printable bunny faces found on the My Poppet blog. The first thing to do is to download the free printable with the 2 bunny faces by My Poppet (they fit together on 1 side). Print as many faces out as you need. As we are normally celebrating Easter with the whole family, there are some kids to provide with a basket! 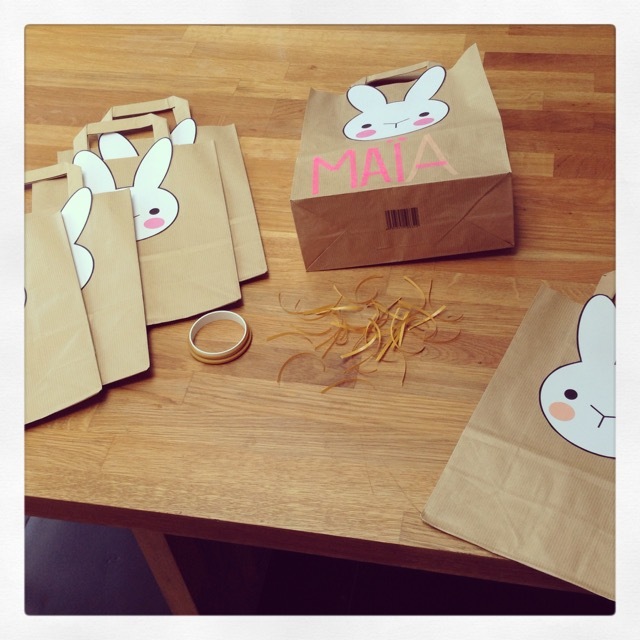 Cut out the faces with a pair of paper scissors before using the double-sided adhesive tape to fix the bunny faces on one side of the paper bag. 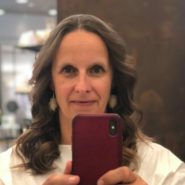 Place the face so that the ears are higher than the edge of the bag and leave enough space below for the personalization of the bag. 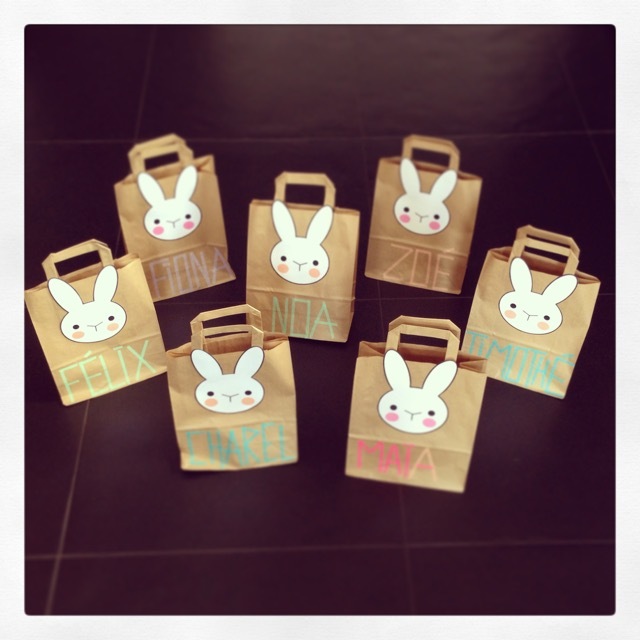 Now it’s time to customize the bunny bags with the name of each kid. For this use masking tape. You have to form the letters with strips out of masking tape. And to finish the Easter basket, we still have to glue the white round bunny tail on the back side of the bag with a knot of cotton wool. The Easter egg hunt can begin!